Top model Taylor Hill is featured in the Bally Fall/Winter 2017 Campaign, and wears the latest style offerings from the Swiss label. The Victoria's Secret Angel is photographed by Brianna Capozzi, and also features male model Antonie Duvernois. 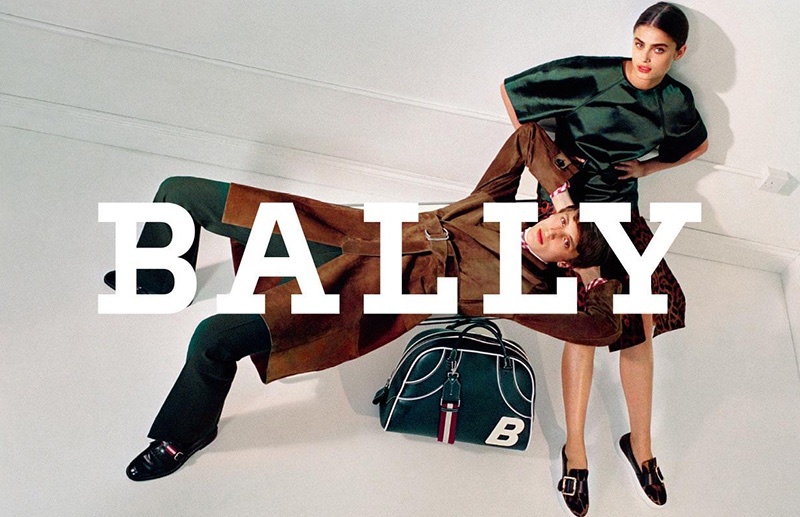 Styled by Jonathan Kaye, the Bally campaign has Taylor and Antonie wearing the season's trendy loafers and sporting leather handbags. Leather and suede coats and jackets, plaid designs and buckles take centre stage in the collection, and all the designs are signature Bally; modern and sophisticated.